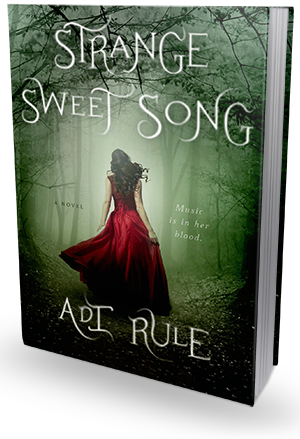 A young soprano enrolls in a remote music academy where nothing, not even her mysterious young vocal coach, is as it seems. In response to her father's records and learned Angelique's most famous aria, approximating the sounds of the mysterious foreign words. In response to he debut performance at the dinner table, her parents began to fight her father saying, I said all along she was a singer, and her mother saying, We discussed this its got to be the piano because she has no ear. He sighs theatrically. "Look, I know it may create an imbalance in the world you're choosing to live in, but I am not, in fact, out to get you. And by the way, a student reported you going into the woods after the party that night, not me." She has been stupid and childish. Zhin gets everything she wants, and always has. So does Lori Pinkerton. So did Barbara da Navelli. Divas. It's not a bad word or a good one. It's reality. Staring this book, I had really no clue where I was going to be taken. The synopsis made it sound wonderful and the cover was amazing but I worried. I worried that what would be spread before me could not possibly be a beautiful and magical as I expected. I was somewhat right, because what I found was a world where a girl struggled to find her place, where magic was what you made it and the music was the beauty behind it all. Adi Rule crafted a masterful and tragic tale that could become an opera itself, lyrical and flowing. The pacing started off a little on the slow side for me but it was balanced by the beautiful writing. Every moment I spent reading this book I felt like the world, Dunhammond Conservatory and the characters just became more brilliant. What came next was the book delivered this light and yet pungent hint of magic. It had been there from the start and I just did not make the connection. I could not see how all of the stories being told were intertwining, and when it finally hit me the full beauty of this book opened like a blossoming flower. This connection opened up the entire plot and world for me, and allowed me to appreciate every beautiful moment. I liked Sing a lot. She was doing what she wanted to do, but lived with pressure from her father to do so. Music is in her blood, both her father and her mother holding important positions in the opera industry. However, her ambitions are now encouraged by her father only and she is propelled to succeed by her mothers memory. There were times that I did wonder if she really fit in, or if she was just there because of her fathers money, but she was there and belonged there for her own reasons. Sing was not the best, she was herself and when she felt herself was no longer enough she became the mean girl of the story and my heart broke a little. Part of what I loved about Sing was her desire to become what she wanted, but not to get there by using her parents status. It took being brave and taking risks, but Sing became who she was meant to be, or would become. She learned that sometimes you have to give and see past what others see and expect, to do what is best. The romance was not brought in to this one until later on in the book. In fact I was hesitant that it would ever happen, despite my desire for it to do so. It is not often that I beg a romance to speed up,we have far too much falling in love at first sight in books now, but I wanted so badly for Nathan to become more than the beast. No, he is not physically deformed and maybe he is more the Phantom from the opera... Regardless there was always something about him that made me wonder if there was more, and he was part of the mystery that haunted me often. He was something that I missed, or maybe most people would miss, but I was curious and always wondered what his story was, but just did not see what came being the story. Adi Rule really threw me with this book. Not far in I was sure that this book would receive no more than three flowers, and a little further in I pushed it to four. It was the last quarter of the book, the developments and the decisions that really made this a book that I loved.